"As stand-ins for the Fantastic Four, they may not inspire confidence in the people they're sworn to protect-but they each have a great story to tell," said series writer Brandon Montclare. "They're going to turn some heads, and then knock them clean off!" A few other teams have taken on the Fearsome Four (not to be confused with the Fearsome Foursome) title over the years. In the House of M universe the team consisted of Victor Von Doom's family plus Ben Grimm, while in the Ultimate Universe (and by extension, the Marvel Zombies titles) it was a name given to the zombified Fantastic Four. This time around, it's nice to see some actual heroes commandeering the name to fight widespread emotion-based corrosion. 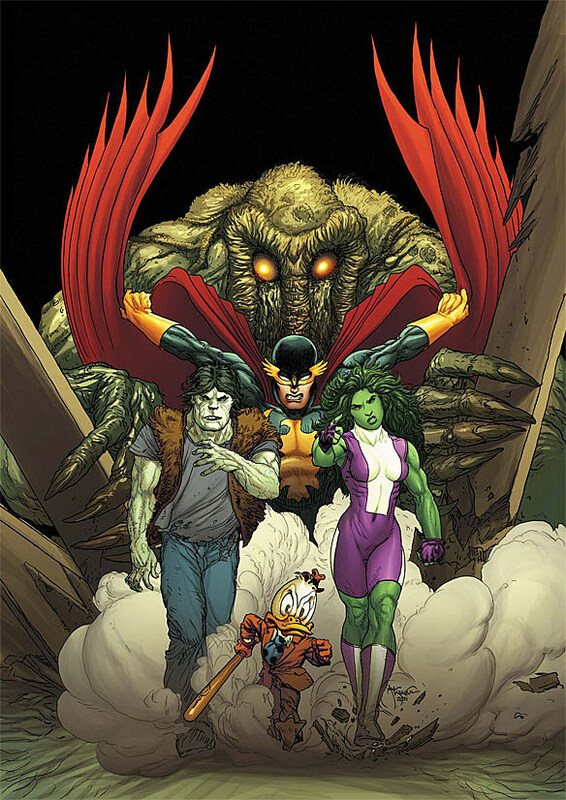 Let's hope Howard the Duck and company can help straighten Man-Thing out. It'd be a shame to see the Thunderbolts start taking public transportation on missions. Actually, that might be awesome.